Pregnancy care with Dr. Freeman Brndjar includes the full range of services for both routine and high risk pregnancies, such as prenatal care, delivery, and postpartum follow-up exams. 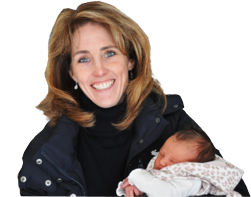 She will help to make your pregnancy and birthing experience comfortable, personal, and special. Dr. Freeman Brndjar will be there to support and care for you at each step – from the planning stages to recovery after delivery. Now accepting new patients – Contact Us today!